The Independent Municipal and Allied Trade Union (IMATU) is growing increasingly frustrated with the South African Local Government Association’s (SALGA) inability to resolve negotiations around the Main Collective Agreement. Parties of the South African Local Government Bargaining Council (SALGBC) have been negotiating a new Main Collective Agreement since last year. However, negotiations have now deadlocked as no further progress could be made. All parties will now go back to consider their options on how the matter is to be taken forward. “While the current provisions under the Main collective Agreement, signed in 2007, will remain in force until replaced by a new Main Collective Agreement, we already started negotiations last year in the hope that the new Agreement would be concluded before this deadline. Unfortunately SALGA has been dragging its heels every step of the way, resulting in very slow progress and time wastage,” explained IMATU Deputy General Secretary, Craig Adams. 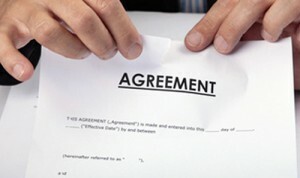 Negotiations regarding the Main Collective Agreement have been broken up into various sections such as, scope, exclusions, period of operation, grievance procedure, agency shop, conditions of service, rules of the Bargaining Council, exemptions, organisational rights etc. 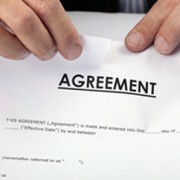 This was aimed at speeding up the negotiation and implementation process. If consensus is reached on any particular section, that section can be signed off and implemented with immediate effect. “These negotiations have proven to be exceptionally frustrating. IMATU has gone to great length to motivate and justify all of our proposals yet we are being met with unsubstantiated resistance. Now that the parties have officially deadlocked, IMATU will be reviewing its options going forward. This may include referring the matter to an interest arbitration, but industrial action has not been ruled out as a possible course of action,” concluded Adams.